Every morning, the fine folks at Sports Radio Interviews sift through the a.m. drive-time chatter to bring you the best interviews with coaches, players, and personalities across the sports landscape. 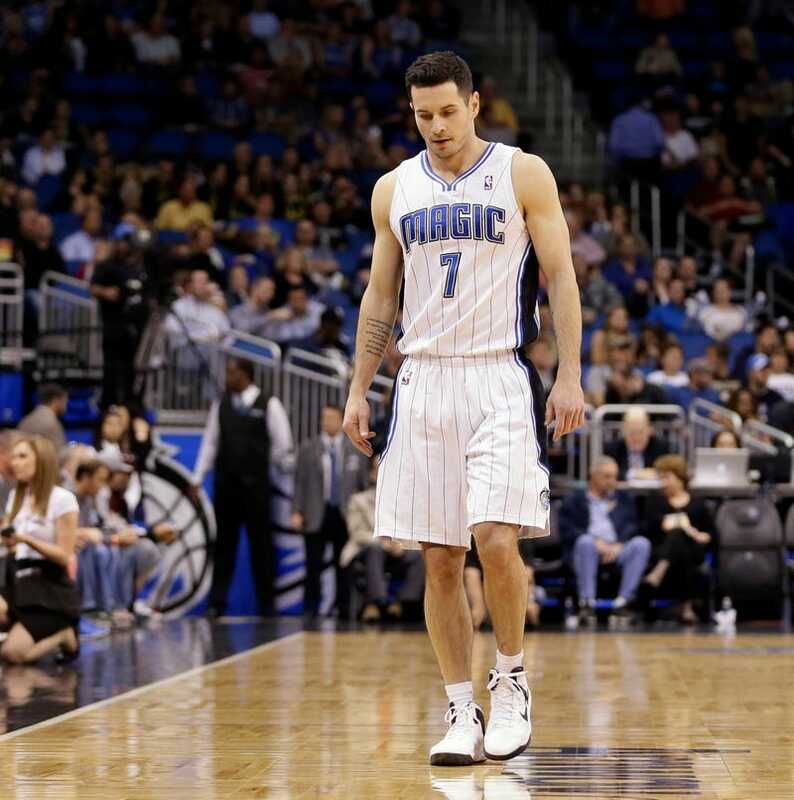 Today: Redick was Magic for seven years. "It's definitely a sad day for me but I'm a positive person and I look at the good in every situation. I'm ready for the next phase of my life and next phase of my career, but definitely a sense of sadness as I head to the Orlando airport right now." How difficult is this move given what you established in Orlando? "Oh it's very difficult. I came here seven years ago and I didn't know anybody. I have wonderful friends and a wonderful support system here in Orlando. Chelsea has been here for 11 years, her family lives two hours south on the Atlantic side of Florida so our roots are here in Florida. Having said that I think both of us can rest easy and be at peace at the fact that God is in control of this. He's the one that's steering our ship. If we can continue to trust in that fact then we will have peace as we head out and get to this next phase." Orlando is in a rebuilding situation, they're in a transitional period in their organization after a run of six straight playoff years. I kind of knew that coming into the season, there's no reward for being mediocre in the NBA. You either have to be really good or really bad unfortunately. I feel bad for the fans who have to endure this rebuilding period but ultimately I know at some period the Magic will be good again, they'll compete for championships and they will get the team heading in the right direction. I wish Orlando nothing but the best. Now I'm excited to have another chance to play in the playoffs. Hopefully we can get a nice seed and avoid Miami in the first round of the playoffs." "I think my best memory without a doubt would be the 2009 team that made the Finals. The 2010 team was the first year that I was in the rotation every single game. That was probably the most fun team I played on. We had some characters on that team with Jason Williams and Matt Barnes and those are the two teams that I will remember the most. I've gotten text messages from some of the guys from that team already. Tony Battie sent me a text yesterday and that was just a good group of guys. In terms of what I would tell the fans, just please continue to be patient, better days are coming. Secondly I can't overstate my level of gratitude for how the fans and the Orlando community embraced me and embraced Chelsea and I. We consider ourselves very lucky to have been here for the last seven years and 11 years and will really love Orlando and will always have a special place in our heart for us." Oh absolutely. Getting on the plane yesterday to say goodbye to everyone, especially Jameer (Nelson) and Joe Rogowski, our strength coach, who have been here the whole time with me and even saying goodbye to Kyle, who I have grown close with this year, rookie Kyle O'Quinn, it was emotional. Also Chelsea and I have our own set of emotions as a married couple. It was an emotional day. Hey guys, I'm pulling up to the airport right now. I appreciate you having me on. Thank you for having me on and for everything over the years and our paths will cross again. Wish you guys the best." • Markieff and Marcus Morris, together at last. • Antonio Brown's not apologizing for that new contract. • Tim Hudson doesn't love the one-game playoff.